What happens when you combine the culture, quirky boutiques and riverside dining of Australia’s city of Melbourne with the sunshine and beaches of Sydney? You get the Queensland capital city of Brisbane. Brisbane is buzzing with things to keep you busy – with its relaxed vibe and sunny weather encouraging outdoor events and markets, quirky neighbourhoods to explore, fantastic food served in terraced restaurants with a view of the (creatively named) Brisbane River, and an impressive calendar of international arts, music, cultural and sporting events, this city in The Sunshine State has got the goods all year round. The closest airport is Brisbane Airport, located just 12 kilometres from the city centre with both international and domestic terminals. The Gold Coast Airport is also easily accessible at just 100 kilometres away from Brisbane. Avoid navigating a new city when you step off the plane with an airport transfer so you can get exploring straightaway! 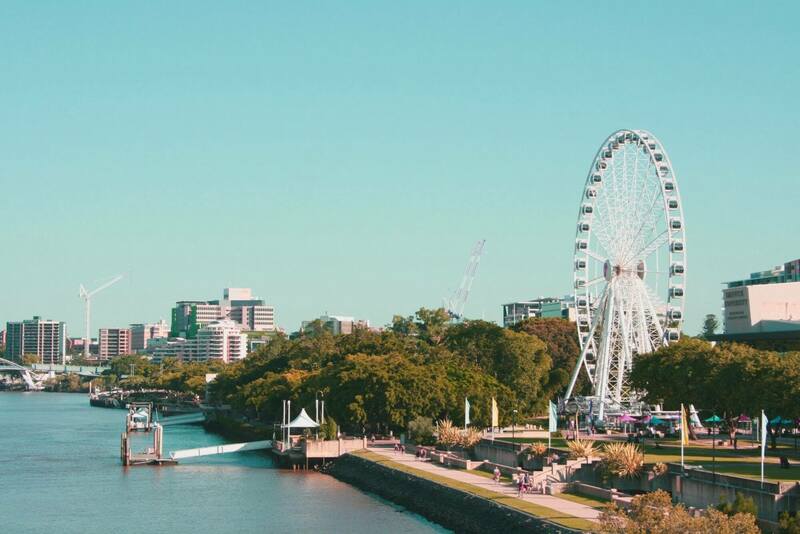 If you’ve only got a short stint in this sunny city, we’ve rounded up the best there is to see and do in Brisbane in just 24 hours. Start your day at Brisbane’s West End– this quirky inner-city village is home to vintage shops, a fusion of cultures, weekend markets hawking locally designed wares, and fresh and organic produce. Grab a coffee from one of the many eclectic cafés as you wander through the bohemian alleyways adorned with street art. Breakfast is a serious affair here, and simplicity, organic produce and supporting local suppliers is the name of the game. You’re spoilt for choice, from French toast with caramelised banana, Canadian brioche, and potato and feta hash browns, to chai bowls and coffee every which way. Or take advantage of the rich Greek culture found here and indulge in some authentic Greek cuisine. Time to embrace Brisbane’s cultured side at the Gallery Of Modern Art (GOMA), home to more than 17,000 works of art. From the West End, wander down Vulture or Boundary Street, and you’ll find yourself in the Arts Precinct of South Bank, alongside the Brisbane River. The gleaming GOMA building is hard to miss, and inside you’ll be treated to impressive exhibitions from Australian and international artists. Past exhibitions have included shows focused on director David Lynch (Twin Peaks (1990-91, 2017), Mulholland Drive (2001)) and photographer Cindy Sherman, so you’re in good company. If you’ve got extra time, make sure to check out the Australian Cinémathèque for unusual arthouse films you won’t find anywhere else (in fact, it’s the only dedicated cinema facility in an Australian art museum!). Time for another caffeine hit, this time in the riverside Arts Precinct of South Bank. There’s so much more than coffee of course, as the precinct suggests. Once you’ve refuelled, wander along the esplanade and check out the Nepalese Peace Pagoda, a relic of the 1988 World Expo and now a popular attraction in Brisbane. Or take in the city view from above on the The Wheel Of Brisbane, a giant ferris wheel offering 360-degree views of South Bank. On weekends you’ll find the South Bank Collective Markets, an eco-friendly institution where you can pick up a second-hand bargain and artisan goods. The only way to truly appreciate the winding river that curves around the city is to travel on it. Hop on a CityCat, Brisbane’s ferry network, from South Bank to the nearby suburb of Milton and let the wind rustle your hair while you practice your Titanic impressions. Once you disembark from your river voyage, it’s time for lunch and a cold drink, and nothing says Queensland like their iconic beer, XXXX, brewed right here in Milton. After you’ve enjoyed a hearty meal at their restaurant, learn about the workings of this heritage brewery, the art of brewing beer and the history of this 139-year-old Queensland drop on the XXXX beer tour. See how the beer is packaged, learn to pour the perfect beer and, of course, sample the goods. The tour runs for roughly 90 minutes and is great fun even if you’re not a big beer drinker. Nestled under the towering Mt Coot-tha lies the Mt Coot-tha Brisbane Botanical Gardens, Queensland’s premier subtropical gardens. Open every day except Christmas Day and Good Friday, the 56-hectare space is home to a large display of themed gardens. You can also check out the Sir Thomas Brisbane Planetarium while you’re there. Note: Don’t confuse the Mt Coot-tha Botanical Gardens located in Toowong with Brisbane’s City Botanic Gardens, located in the inner-city. Time to trek up the guardian of Brisbane city, Mt Coot-tha. 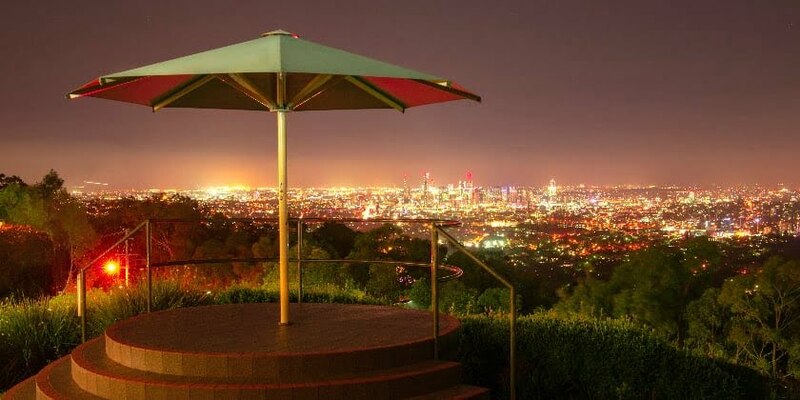 Looming over the city, enjoy panoramic views of Brisbane and beyond as you watch the sun disappear beyond the horizon from the lookout. Enjoy a drink at the award-winning restaurant Summit as you say goodbye to the day, and watch as the city lights begin to twinkle. Time to head back into the city for dinner, and Brisbane boasts a number of eating precincts to tempt your tastebuds. Return to South Bank for some sumptuous riverside dining – here you’ll find everything from Modern Australian and pub meals to Turkish, Malaysian, Japanese, Italian and Indian, accompanied with river views. For a meal that will delight all your senses, head towards Chinatown in Fortitude Valley, where sizzling smells from the wok will lure you into neon-lit streets and people hustle and bustle all around you, treating themselves to yum cha, Chinese fine-dining and fusion food. Walk through the traditional Chinese gates and delight yourself with everything Chinatown has on offer. No matter how you wish to end your evening, Brisbane has something on offer. Fortitude Valley was Australia’s first ever designated entertainment precinct where you’ll find an array of live bands playing at The Triffid or The Tivoli, but plenty of the smaller venues host great live music as well. Down by the river, Eagle Street Pier is home to plenty of bars offering views of the Story Bridge stemming across the river while you sip on a cocktail, and nestled between West End and South Bank (both offering plenty of watering holes) lies Fish Lane, where laneway culture is well and truly alive. Find hidden bars, big pubs, craft beer, wine bars and everything in between. Get your thrill on and check out Australia’s theme park capital, the Gold Coast, where you’ll find Warner Brothers Movie World, Wet n Wild Water World, Dreamworld, SeaWorld and WhiteWater World. For sporting fans, the Gold Coast is also hosting the Commonwealth Games this April. Dust off your hiking boots and explore the many nearby national parks and mountains in the nearby Gold Coast Hinterland. Lamington National Park lies just under two hours from Brisbane and offers a number of hiking trails ranging from easy return walks to hikes over difficult terrains. Spend a day on the gorgeous North Stradbroke Island in Moreton Bay. The island is famous for its scenic headlands, fantastic surf and endless white sandy beaches. It’s also one of the best places to go whale-watching when the gentle giants migrate up and down the east coast of Australia. Brisbane is a fantastic city and well worth a trip if you’re travelling to the Gold Coast for this year’s major sporting event, or simply exploring Australia. While the city has fantastic weather all year round (it’s easy to see why Queensland is called The Sunshine State), summertime can get quite warm, so plan your trip accordingly. For more handy hints for travelling around Australia, check out 8 Things To Know Before Travelling To Australia. Heading to Melbourne or Sydney too? Don’t miss our 24 Hours in Melbourne and 24 Hours in Sydney guides. You’ll want to get out in the sunshine as soon as you arrive, so to ensure a smooth and seamless trip to and from Brisbane Airport, search and compare airport transfers on Jayride.com.